It stars Vince Vaughn, Jason Bateman, Jon Favreau, Faizon Love, Malin Akerman, Kristen Bell, Peter Serafinowicz and Jean Reno. 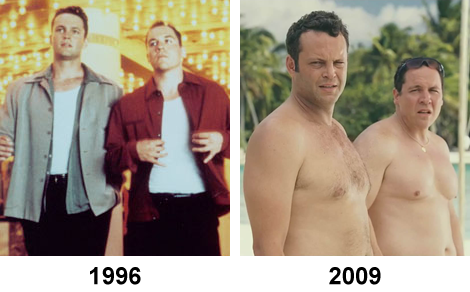 It’s the first film that Vaughn and Favreau have written together. 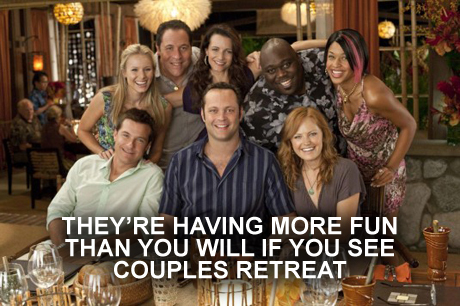 As a result, it feels like a bit of a Swingers reunion. It’s directed by the kid from A Christmas Story. It couldn’t be worse than Four Christmases. There are two possible reasons why such good actors would sign up for this movie: a) they want a part in Iron Man 3 or b) they wanted to go to Tahiti. The only reason it makes you think about Swingers is because you realise how old Vince and Jon are starting to look. It’s worse than Four Christmases.